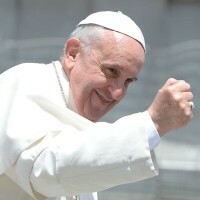 The Church in Australia, on the feast of Pentecost, yesterday marked the official launch of the Plenary Council, which will culminate in gatherings in 2020 and 2021 to consider the Church’s governance, laws and practice.In a special message for the Catholic community in Australia, Pope Francis said that he hoped “through patient dialogue and faith-filled discernment, the conciliar journey will confirm the Catholics in Australia in a spirit of fraternal unity and missionary discipleship”. “We are embarking together on an important initiative that holds great promise for the Catholic Church in Australia,” Archbishop Costelloe said. “It is wonderful to know that the Holy Father is aware of what we are doing and fully supportive of it. Archbishop Costelloe said he hopes the Pope’s message, on top of the strong local interest, “will encourage all Catholics to take part with enthusiasm, and great hope, in the journey of the Plenary Council upon which we are now embarking”. This entry was posted in Uncategorized on May 21, 2018 by ACBC Communications.